This unique design is made by Ultimacontracting If you are interested in this design, please contact Frank Cancelliere at Info@rubyfallscafe.com Ruby Falls Cafe 80 Joline Ave Staten Island NY 10307 Wonderful design with beautiful vietnamese silk lanterns at the Ruby Falls Night Life Cafe Lounge. 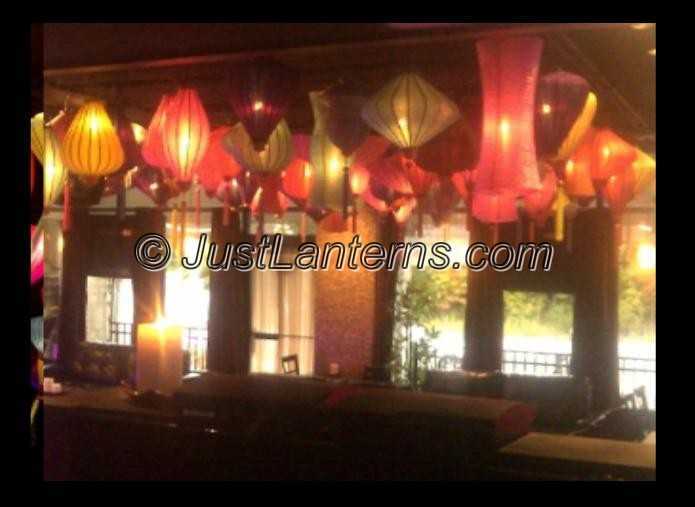 The light setting contains over 100 Vietnamese silk lanterns consisting of all different shapes and colors. The soft blend of fabrics that flow throughout the lounge matched with a lighted waterfall setting grabs you from the second you enter the Ruby Falls experience. Ruby Falls NightLife Cafe Lounge is Staten Island's newest and highly spoken about venue on the island. Its great mixture of a Vegas/New York City style atmosphere makes Ruby Falls a unique upscale party lounge.